A former US State Department Nigeria specialist, Mathew Page, has suggested that a US civil forfeiture case to seize $144 million of assets from two cronies of Diezani Alison-Madueke, may just be the start of her legal troubles with America. US Justice Department last week filed an asset recovery case in Houston against Jide Omokore and Kola Aluko, seeking the seizure of luxury property, including a New York apartment and super-yacht, bought by one of the businessmen. The two businessmen, at the detriment of Nigerian treasury, were heavily favoured by Diezani, during her tenure as Nigeria’s oil minister. The first female president of the global oil cartel OPEC — who was one of Africa’s most prominent politicians — has always denied the allegations, which involve billions of dollars syphoned from oil deals and state coffers. Nigeria’s President Muhammadu Buhari, elected in 2015 on a promise to eliminate graft, has said that “mind-boggling” sums of public money were stolen by previous administrations. Officials in Abuja say they are talking with US prosecutors about repatriating the money if the civil forfeiture claim is successful. Alison-Madueke served under president Goodluck Jonathan from 2010 to 2015 and was Nigeria’s first female minister of petroleum resources. But her tenure was dogged by scandal. On her watch, the former central bank governor Lamido Sanusi was sacked for claiming the state-run Nigerian National Petroleum Corporation (NNPC) had failed to remit $20 billion. In one case heard in Nigeria in February, Alison-Madueke was accused of diverting some $153 million from the NNPC coffers. In another ongoing trial, some 23 billion naira ($73 million) of NNPC money is alleged to have been used to influence the 2015 presidential election to keep Jonathan in power. Lat week, prosecutors in Lagos began proceedings to recover $1.76 billion of assets owned by Kola Aluko and Jide Omokore, whose companies were awarded oil contracts by Alison-Madueke. On Wednesday, another judge ordered the forfeiture of Alison-Madueke’s $37.5 million luxury Lagos property, saying it was purchased with ill-gotten funds. Meanwhile, Italian prosecutors allege that she and Jonathan received kickbacks from oil majors ENI and Shell as part of a $1.3-billion deal for an offshore oil block in Nigeria. Charges relating to the same oil block deal have also been filed against the oil majors and some senior Nigerian politicians. Jonathan and Alison-Madueke are not named in the suit but the former president is under pressure from parliament to answer questions about the so-called Malabu deal. 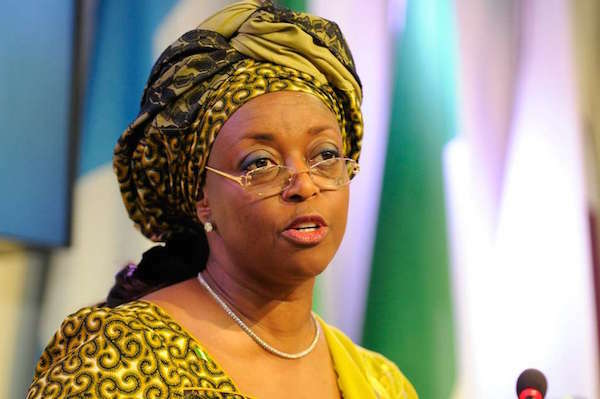 Finally, Diezani-Madueke was arrested in London in October 2015 in connection with a British probe into international corruption and money laundering, but she was freed on bail. As the international cases pile up, anti-graft campaigners hope the growing body of evidence will boost current President Muhammadu Buhari’s faltering war on corruption. Several high-profile figures in Jonathan’s government have been charged with corruption since Buhari came to power, however so far there have been no major convictions. Still, some activists believe the overseas cases will serve as a powerful example of justice. Debo Adeniran, of the Coalition Against Corrupt Leaders lobby group, said the latest cases involving Alison-Madueke, Aluko and Omokore could be a “morale booster”. “Once a conviction is got abroad, the right signal will be sent to all looters that the judgment day has come,” he said. Dolapo Oni, an oil analyst with Ecobank, said that in contrast to Nigeria’s sluggish courts, the overseas corruption cases may be concluded faster. But whatever positive impact that may have, fears remain that with Buhari on indefinite medical leave, his anti-corruption war is losing momentum. Leading Nigerian lawyer Festus Keyamo said the cases demonstrated the need fundamentally to overhaul the NNPC — and to investigate just how far up corruption went in the ruling elite. “The big unanswered questions: is it possible one Minister allegedly stole so much without the knowledge, connivance & approval of the C-in-C (commander-in-chief)?”, he tweeted.